The Brooklyn Terminal Market is a wholesale food and plant market in Canarsie, Brooklyn. It's been in operation since 1942. There are 33 vendors who sell their goods there from exotic flowers to fresh fruits and vegetables to wine. The market is known for its wide selection of Caribbean and West Indian products and its spices from all over the world. During the holiday season people head there to buy holiday decorations and Christmas trees. A lot of the vendors have been there for a long time and sell products unique to them. There's "Leo's Apples," "Whitey Produce," "Pagano Melon," and "TP&S Winegrapes." The market is Canarsie, a neighborhood close to Flatbush. The neighborhood is mostly home to working and middle-class residential families. The area is not particularly gentrified or moneyed, meaning you'll get an authentic Brooklyn experience. The address is 21 Brooklyn Terminal Market, Foster Ave, Brooklyn, NY 11236. The main gate is on Foster Ave. near E. 87th St. It's closest subway stations are the Canarsie, Rockaway Pkwy stop on the L train (it's not ideal as it's still a 20 minute walk from that station. If it's a beautiful day, go for it. If not grab a taxi at the subway station.) Bus B17 and B82 will get you much closer to the terminal. Those looking for the quickest and most direct way to get to the market should opt for a taxi, Uber or Lyft. History buffs will be interested to know that this area was created by New York City when the then-thriving Wallabout Market was shut in 1941 so the Navy Yard could expand to support the war effort. The market was moved away from the waterfront inland to the then-new Brooklyn Terminal Markets in Canarsie, according to the Brooklyn Historical Society. Today the Brooklyn Terminal Markets is much smaller than it was in mid-20th century. The most fun thing to do at the market is schmooze with the owners and hear their stories. Many of them will give you free advice or let you try their goods. Don't miss the pickles. Some visitors like them here better than what they find on Manhattan’s Lower East Side. 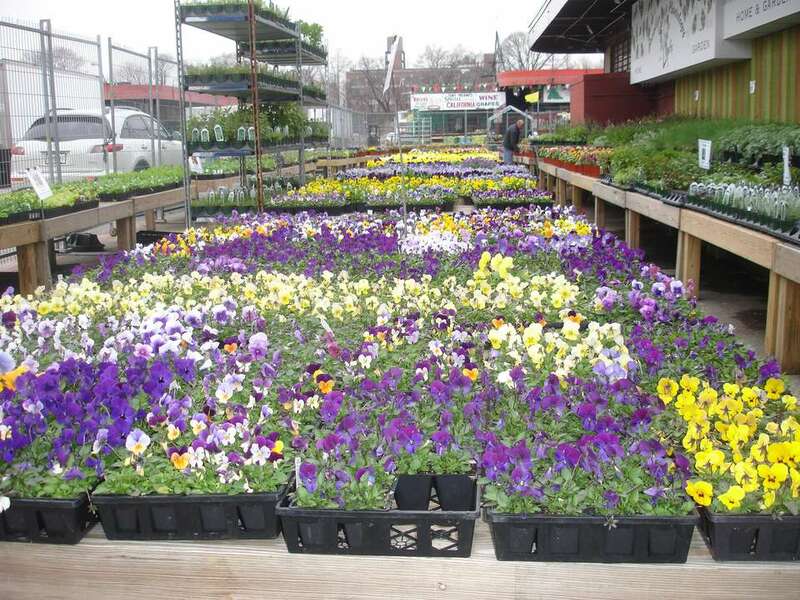 Save some time to browse the shrubs, Christmas trees and wreaths, trees and basic garden flowers, a lot of different kinds of garden and planting supplies. Prices are not as low as they used to be for retail customers. You might pay a few dollars less for a large chrysanthemum plant here than in your local farmers market, but don't expect wholesale prices. Given contemporary Brooklyn's intense interest in fresh food and local markets, it will be interesting to see if this old-time marketplace experiences a rebirth. The Brooklyn Terminal Markets merchant association's tagline is a droll, elbow-in-the-ribs "Real People in Real Markets", and indeed half the fun of going here is to touch base with a longstanding Brooklyn institution. Some of the businesses are still run by the same families who opened them back in the days after World War II, before Robert Moses, redlining and suburbanization lured Brooklynites of means to depart from, rather than flock to, the borough. About a ten minute drive from the market is Canarsie Pier on the water. The pier is a lively place where you can be in nature. Locals head there to fish, kayak, fly kites, or just hang out by the water. The area around the market is known for its Caribbean food. After a long session of shopping head to Suede for rum cocktails (the restaurant has over 100 types in stock) and jerk shrimp skewers.